Optimistically Nihilistic brings you comedy of merry misadventures. Jokes may include but not limited to: Terrible jobs, awkward human interactions, witty comebacks that we wished we actually said but didn’t, why our parents drink, wizard fights, alien abductions, and the futility of everything that leads us to put a comedy show on a Tuesday Night! 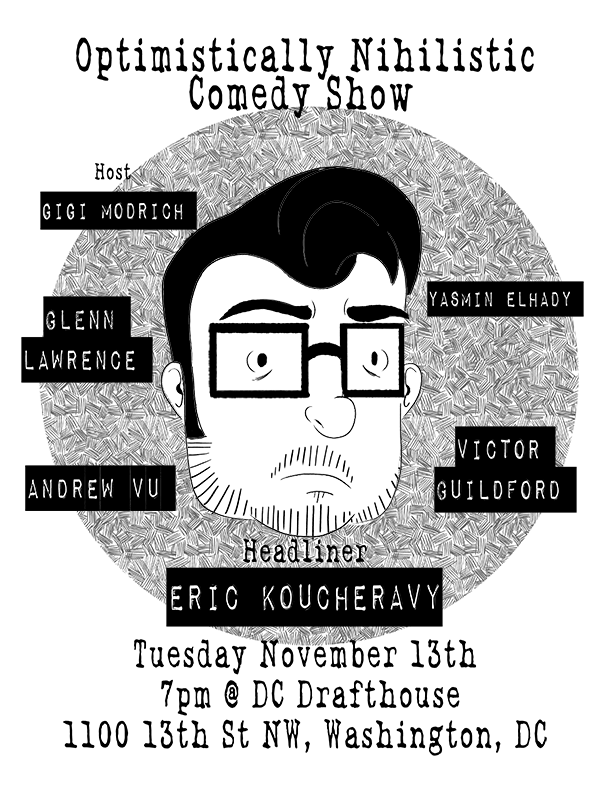 Your host Gigi Modrich has assembled the best up-and- coming comics to make you laugh with Headliner Eric Koucheravy featuring Andrew Vu, Glenn Lawrence, Yasmin Elhady, and Victor Guildford.